Intershape Ltd specialises in supplying good quality, competitively priced equipment to keep your cows and calves healthy, comfortable and productive. Our Daventry office is open from 8.30am to 4.30pm Monday to Friday. Email: sales@intershape.com for sales enquiries. Email: customerservice@intershape.com for enquiries about existing orders. 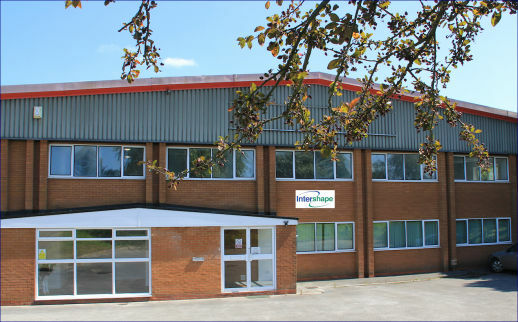 Intershape Ltd, Michaelmas House, Royal Oak Way North, Daventry, NN11 8PQ. Our family business, based in Northamptonshire, England, has over 30 years experience supplying farmers and rural businesses with products which improve animal comfort and performance. We source good quality, innovative products, mainly from North America and Europe, and dispatch them direct from our Daventry warehouse. We have reference sites across the UK and a reputation for excellent after-sales service and honouring our warranties. Look out for our stand at all the main UK dairy events in 2019.